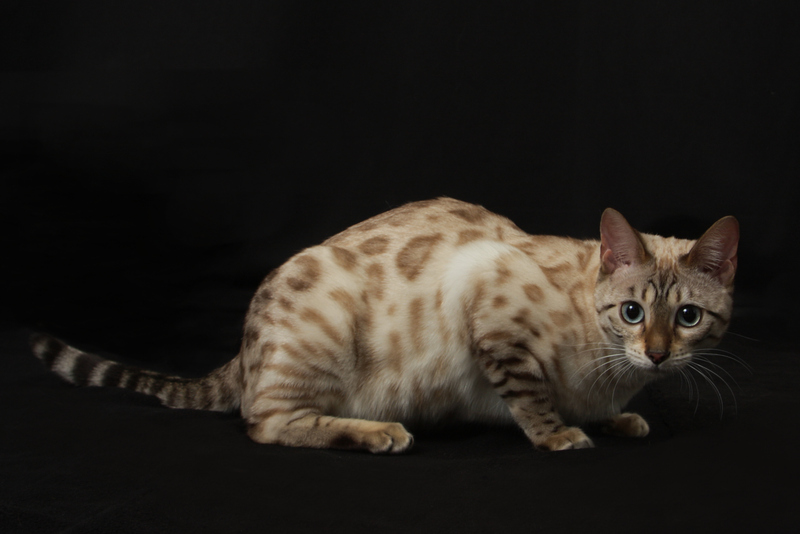 We are very proud of our beautiful seal spotted lynx-point queen from Traipse Bengals in Seattle, Washington, CH Traipse Crystal Ice Of Snow Tundra whose father, RW SGC Traipse Mondo Macadamia aka "Big Mac", is the Number One Best Mink Snow Bengal in TICA worldwide for the year 2014-2015! Crystal made her way into my heart immediately where she has the temperament of an angel cat with wings, and that is in addition to her exquisite beauty! 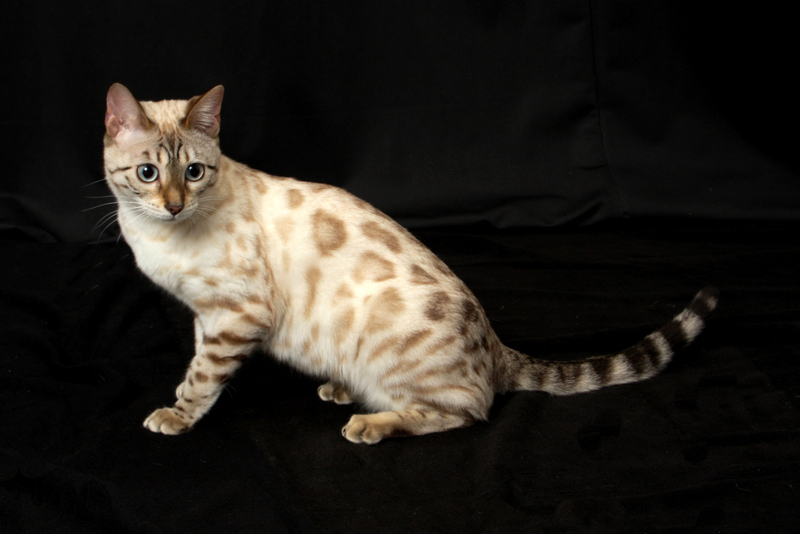 Crystal has huge donut rosetted spots that have exceptional contrast all aligned in a smooth horizontal flow on a very long and lean muscular body. 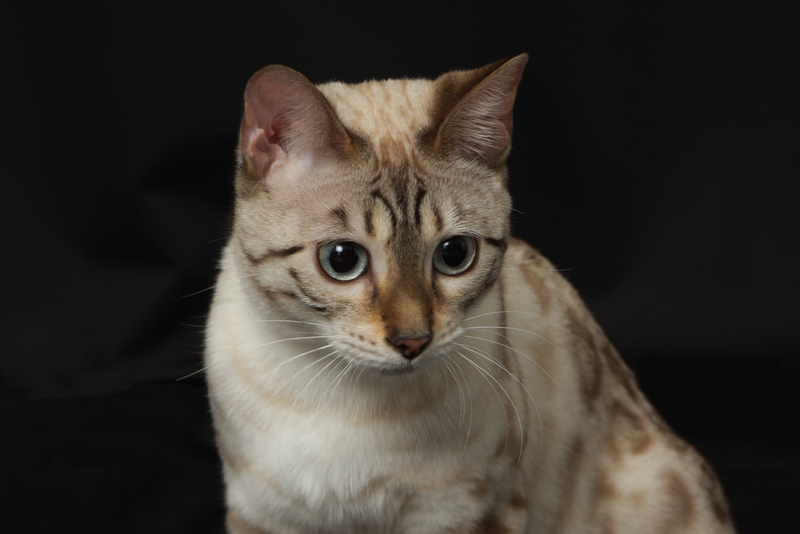 Another one of her best features is her near perfect modified wedge bengal head adorned with small rounded tipped ears and intense clear blue eyes! Everyone who has seen her immediately falls in love with her! And every one of the kittens in her first litter was a shining example of their mother! 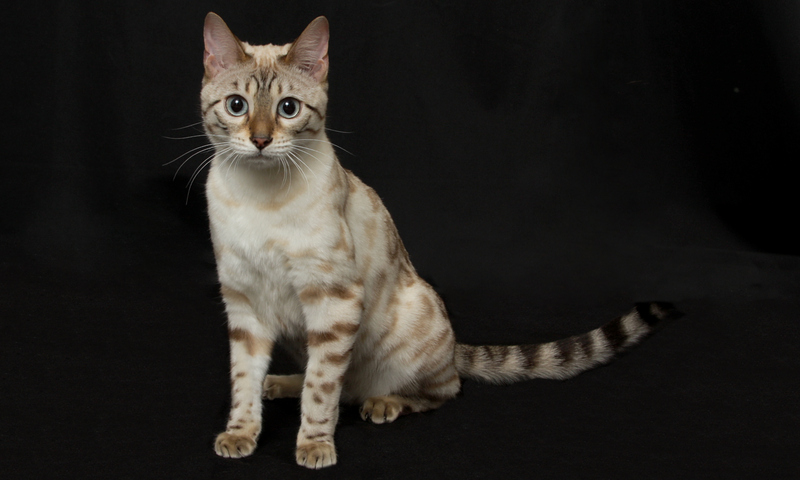 CH Traipse Crystal Ice was screened normal for HCM at Ocean State Veterinary Specialists, by Dr. Mark Stamoulis, Veterinary Board Certified Cardiologist, on November 4th, 2016.